When was the last time you backed up your computer hard drive? How valuable is the data on your computer? Do you have customer files, inventory, sales and marketing materials, financial and employee data? What would happen to your business if this data was lost or corrupt? A TASA® backup solution is simple to use and will protect your valuable data from natural disasters, viruses, and hardware failures. When natural disaster strikes, TASA® will have you up and running in a flash! TASA® backup solutions offer the flexibility to scale without limitation. Grow your business from a single user to a large facility multi-user network. With TASA®, you can increase your backup solution to fit your needs. 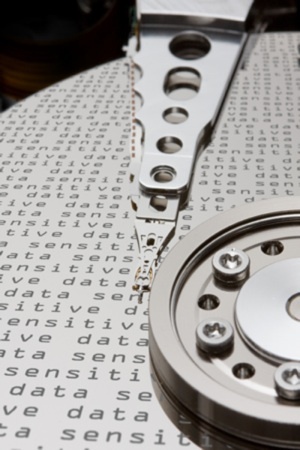 A reliable data backup is critical to businesses large and small everywhere. The amount of business data that resides on vulnerable drives increases every day making it necessary to establish policies for regular data back up more important than ever. Your data is your business. If you loose your data you may loose your business. How important is a regular backup of all your data? TASA® makes it easy and affordable and our technical support is unmatched in the industry as well. You may need ongoing computer network support or just a little extra help from time to time. Either way TASA® has the computer network solutions to fit your business. TASA® flexible maintenance plans ensure your computer network continues to work smoothly and will help to control unexpected outages and expensive repairs. Quick response is the key to electronic equipment restoration. Electronic equipment that has become wet or contaminated by smoke, soot or debris can be restored if you act quickly. The secret is in the special TASA® electronics cleaning and drying system. Our system allow us to restore electronics for a fraction of the replacement cost. As you survey fire damage at your residence or commercial business remember, wiping residue off the exterior of damaged equipment is not enough. Some of the most deceptive problems can be found once you remove the cover and look on the inside of damaged computers, stereos and other electronics. Most electronics require specialized training to repair. Call TASA® for a free evaluation.